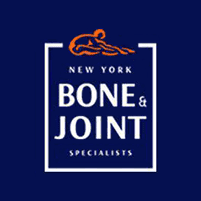 New York Bone & Joint Specialists recruits some of the best surgeons in the New York City area, and is honored to have Dr. Rupesh Tarwala as part of the practice. Dr. Tarwala is a renowned hip surgeon, serving patients out of the offices in the Upper East Side and Midtown West neighborhoods of Manhattan. If you need a thorough diagnostic exam or would like to discuss hip surgery options, schedule a consultation today. Online scheduling makes it easy to find an appointment time, or you’re always welcome to contact the office by phone. Arthritis is a common joint issue, and is characterized by inflammation. There are many different types of arthritis, but the most common is osteoarthritis, which deteriorates the cartilage within your hip joint. Cartilage is a rubbery material that covers the ends of your bones, providing a level of shock absorption and reducing friction in your joints. Cartilage is a very durable and resilient material, but your body cannot regenerate this type of tissue once it wears away. You can develop hip osteoarthritis after an injury, or based on genetic defects with your cartilage. Carrying excess weight can also lead to osteoarthritis because your joints are placed under extra stress. Symptoms of hip osteoarthritis include joint stiffness, pain, swelling, unusual sounds within the joint, and limited range of leg motion. Conservative therapies include rest, weight loss, exercise, and pain management, but surgery is sometimes required to find lasting relief. What is the difference between hip resurfacing and hip replacement? Hip resurfacing is a more conservative surgical approach that only removes a portion of the diseased surfaces within your hip joint. The ball of your hip socket is covered with a metal cap to reduce pain and improve joint mobility, and delay the need for hip replacement surgery. Hip replacement involves removing all or a portion of your hip joint and replacing those tissues with metal, ceramic, or plastic components. The end result is a hip joint that moves smoothly without causing pain. Are there other types of hip surgery? A hip replacement isn’t the only option when it comes to addressing conditions within your hip joint. If you have unusual bone formations on the ball or socket portion of your hip joint, an arthroscopic procedure can help remove that abnormal tissue and restore proper joint function. Arthroscopic surgery allows your surgeon to access the interior portion of your hip without a large open procedure. Physical therapy is necessary after any hip surgery to help you regain strength in your hip and restore proper joint mobility. Your therapist also guides you through your post-op exercise and stretching program, and advises you on how to ramp up your activity level as you heal. To learn more about these and other hip surgery options, book an appointment with Dr. Tarwala, one of the best hip surgeons in NYC, to discuss your specific set of treatment needs and goals.